The vast majority of researchers are concerned about funding for cancer treatments after the UK leaves the European Union. 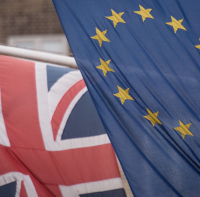 That's according to a new poll which found that 89% of cancer researchers felt their ability to access EU funding could be hampered in the wake of Brexit. Some 108 scientists were asked for their opinion on the subject in a poll carried out by the charity, Pancreatic Cancer UK. And nine in 10 say Britain's exit from the European Union will have a negative impact on clinical trials for pancreatic cancer. The charity highlights the current dependency on European funding for British pancreatic cancer research, saying the EU has contributed at least £6.2 million in less than a decade. The charity has called on the Government to protect EU funding for what it calls "vital research", highlighting that "exciting" breakthroughs were being made. Alex Ford, chief executive at Pancreatic Cancer UK, said: "With pancreatic cancer set to become the UK's fourth biggest cancer killer by 2026, the UK government must protect EU funding for vital research as we begin the next chapter of Britain's history. "We are beginning to see exciting research breakthroughs which could pave the way to change the future for this long-neglected disease, and to halt this progress would be a tragedy for patients and their families. "Pancreatic cancer attracts less than 2% of UK cancer research funding each year. "Without a guarantee of EU funding for research and access to EU clinical trials, the treatment options of current patients would be even more limited." People with long-term pre-existing conditions can arrange medical travel insurance should they need to travel.